WIKIMEDIA, CHRIS HOPEWith the occasional mid-surgery wake-up still plaguing the operating room, as well as the recent discoveries that vegetative patients may be more aware than previously realized, researchers are desperately seeking markers of consciousness. Fortunately, new techniques for monitoring brain activity and connectedness between brain regions are proving successful, as distinct patterns of brain waves appear as patients lose and regain consciousness during anesthetization. Additionally, researchers have devise a test of consciousness that could also apply to patients suffering from brain injury, in which neurons in one brain region are stimulated and the response activity in other regions is recorded—giving a sense of how different parts of the brain are connected. Yum . . . beer! STOCK.XCHNG, DCUBILLASNew research suggests that it’s not just the alcohol in beer that keeps us coming back for more—it’s the taste. Just a sip of beer—not nearly enough to cause intoxication—can set off rewarding dopamine pathways in the brains of healthy men, the researchers found. What’s more, men with a family history of alcoholism exhibited stronger dopamine responses, suggesting that this rewarding taste may underlie the addiction disorder. NEURON, FOLDY ET AL.Two mutations linked to autism spectrum disorders appear to disrupt endocannabinoid signaling—neuronal pathways involved in memory formation, learning, and pain that are also affected by smoking marijuana, according to new research in mice. Both mutations affect the neuroligin-3 gene, which encodes a protein involved in building and maintaining synapses, but the mechanism by which these mutations lead to cannabinoid disruption is still unclear. WIKIPEDIA, CDC/CARRScanning electron microscopes (SEM) have proven invaluable for imaging biological structures, particularly whole organisms. But the technique requires the animals be placed in a vacuum, to avoid the scattering of electron beams by gas molecules, so SEM pictures have largely been limited to dead, preserved specimens. But a new technique that arms the animals with a “nano-suit” of detergent and plasma could allow them to survive their time in the scope, according to new research. 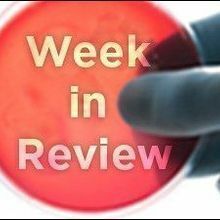 A decision will not be reached until later in the year, but the United States’ top justices appear to be inclined to rule against the validity of patenting human genes. A new report says that neonicotinoids are poisonous to some birds at lower concentrations than previously indicated. Bioengineered kidneys transplanted into rats filter blood and produce urine, an achievement that points the way to replacement kidneys for humans.